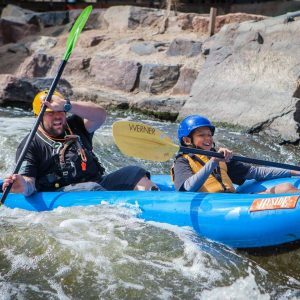 Join the NSCD for our adventurous camps in Colorado’s Front Range or the beautiful Rocky Mountains to experience a wide variety of sports and recreation including horseback riding, whitewater rafting, hiking, biking, rock climbing and more, all while making new friends. 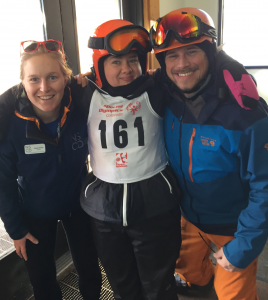 One of the main purposes of the NSCD camps is to have fun participating in safely designed activities, appropriate for a wide range of ability levels. 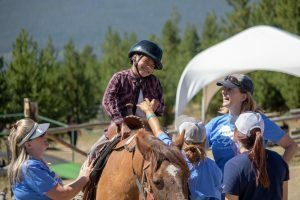 Our uniquely designed camps utilize specific approaches that meet the needs of a variety of individuals with special needs. Camps fill up quickly, so be sure to make reservations early. Participants must be independent and manage self-care or bring a care-giver to provide assistance. Get an edge on the competition, meet new friends and strengthen your racing skills. 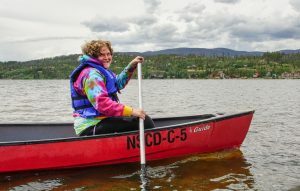 Join the NSCD for this three-day race camp for individuals with developmental and intellectual disabilities. Did you know the NSCD has multiple Sports Mini Camps throughout the year? Join us for three days of different and exciting sports! We will be going to different venues each day. Activities may include instruction in team and individual sports, shooting sports such as archery and air rifle, rock climbing and our fun and challenging NSCD Moves! obstacle course. Location: Multiple venues in the Denver metro area. Pick up and drop off will take place at Developmental Pathways – 325 Inverness Dr S, Englewood, CO 80112. Participants can also be dropped off and picked up at the program location each day, rather than using group transportation to and from Developmental Pathways. *Please note, we are currently in the process of transitioning this activity to the new online reservation system. Please continue to register for Sports Mini Camp programs via the link below through the end of March. Payment cannot be accepted on line through this registration, a customer service team member will contact you for the payment. Thank you for your understanding as we transition to the new system. 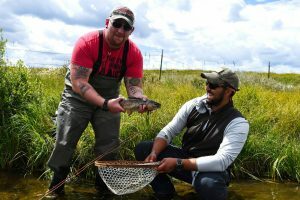 This four-day camp for adults (18+) promotes independence and camaraderie. 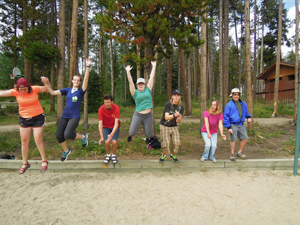 Laugh and learn while participating in activities such as rafting, hiking, camping and Winter Park resort activities. 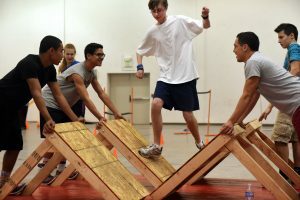 Campers are introduced to new skills and activities by highly trained staff. *Bring a buddy and receive $25 off. This camp is popular, register early. Meet new friends and share experiences during this three-day camp for women ages 18 & up with physical challenges. Day activities may include whitewater rafting, rock climbing, biking and hiking as part of the fun. Evenings will be spent sharing dinner and activities. You bring the spirit of adventure and we’ll provide everything else, including an experienced and fun female staff.